Forté Foundation Events – Forté Foundation launches women into a fulfilling business career through access to education, opportunities and community. If admitted, successful candidates are expected to seek full-time work experience between two to five years. The MBA Early Admissions Online Chat is an interactive way for prospective students to get their questions answered directly by an Admissions representative. Participants are able to learn more about MIT Sloan’s Early MBA program and visualize what their experience at MIT Sloan would entail. The online chats are especially substantial for women interested in our Early MBA program. They provides a significant amount of tips in preparing for the entire application process and much more. At IE Business School, we are dedicated to supporting women to reach their professional goals by providing them the platforms to excel and break industry barriers. During this conversation, three distinguished female alumni working in finance will discuss how the gender gap within the industry is both a challenge and an opportunity. They will explore how finance is about more than just making money but making a difference, how a career in finance can lead to lifelong learning opportunities, and how women are shaping the future landscape of the finance. On the job and in our personal lives, solid negotiation skills are key to our success. Negotiation is both an art and a strategic process that involves building trust and developing relationships, as well as influencing and shaping behaviors that result in mutually satisfying agreements for all. The Negotiation and Influence program is an intensive, interactive three-day program that will help you develop strategies to effectively plan and prepare for negotiations, and show you how to increase your power and influence while maintaining positive relationships. Through a series of challenging, innovative exercises based on today’s workplace dynamics you will evaluate your own skills and predispositions, utilize key concepts introduced in the program to hone your performance and gain greater confidence to succeed in the most challenging situations. 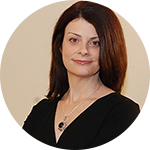 Led by award-winning Haas Lecturer and Social Psychologist, Holly Schroth, Negotiation and Influence focuses on learning by doing. Participants will walk-away with useful strategies that can immediately be incorporated into their job performance and everyday life. The ability to negotiate and influence others is not limited to our professional lives. This program is invaluable for anyone that wants to resolve conflict and reach agreements in any aspect of their lives. Come prepared to build greater confidence in your ability to negotiate, influence and develop long-term, highly productive relationships, whether at work or at home! Are you a woman considering your MBA at Wharton? Wharton’s MBA Admissions Office and Wharton Women in Business invite you to join us for a full day of programming, including class visits, an overview of Wharton’s many opportunities for leadership, and time to chat with and get to know more about Wharton’s amazing community of women. Make personal connections with current students, staff, and faculty, and discover our distinctly collaborative environment. We look forward to welcoming you to Wharton! Please note: The formal visit day will end by 5:00 PM, but you are invited to attend Wharton’s weekly MBA Pub until 8:00 PM. We welcome you to spend a day with us on MIT Sloan’s campus to learn about all the opportunities available to the LGBTQ+ community at MIT Sloan. You can expect to attend a class and also hear from the Admissions Office, Program Offices, current students, and the Sloan Pride club throughout the day. The free Forté VirtualMBA Forum exclusively for women brings more than 50 of the world’s leading business schools to your computer. Whether you are exploring if an MBA is right for you or are looking for an opportunity to ask questions of a specific school, the Virtual Forum provides a venue for you to do so in a convenient, supportive environment. Why Register for the Virtual Forum? Connect with 50 of the world’s top business schools from the comfort of your office, local Starbucks, or living room. Ask questions of MBA students, and financial aid and admissions experts in a supportive environment. 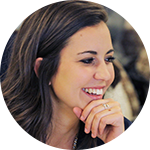 Explore if an MBA is right for you — Hear from current MBA women about their experiences. Take the guesswork out of school research. Student Culture? Academic Approach? Financing Options? Find it all out in one place. Save on GMAT Prep! Attendees will receive either 50% off or a $50 tuition credit for the EMPOWERgmat Online GMAT Course. Wherever your dreams take you, you need business skills to get started. Forté can help! Join us at our College to Business Leadership Conference in Chicago to gain the solid business toolkit you need to navigate the professional world. Don’t miss this unique chance to explore your options and jump-start a fabulous career. This is a great opportunity for first years, sophomores, and juniors looking to explore career opportunities in business, network with business leaders, and grow their resume. Join MIT Sloan students, staff, and faculty to learn how our mission-driven School inspires cutting-edge thinking and prepares the next generation of principled leaders. 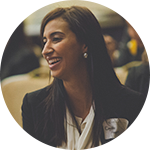 Engage with current female students as they share their stories and experiences with the MIT and MIT Sloan networks. Participants will sit in on a class, attend admissions and career information sessions, join current students for lunch, and end the day with a reception. Join us for our next Weekend MBA Open House, featuring a class visit and alumni panel discussion! 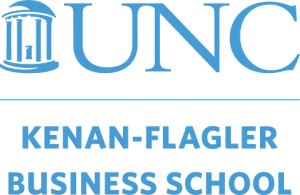 During the day, you’ll get a first-hand glimpse into life as a Weekend Executive MBA student at UNC Kenan-Flagler when you sit in on a live class and participate in discussions with current students. This program introduces and explains the essential elements of financial reporting, including managerial and financial accounting. Participants will learn to interpret the basic components of financial statements, develop a greater understanding of how financial information can be used as a strategic tool for decision making, and be able to communicate operating, marketing, sales, and growth strategies in financial terms. Please note advanced registration date deadlines for early bird pricing. Essentials of Executive Leadership: The Psychology of Management is a 5-day Executive Education program taught by Chicago Booth faculty. In this program, you’ll learn to apply insights from the discipline of social psychology as it fundamentally affects how we understand ourselves and others and builds our capacity to effectively lead and manage people, processes, and situations. You’ll understand the nature and dynamics of interpersonal and team behavior related to organizational performance and effectiveness, develop a framework for analysis and action around your management challenges, and identify behaviors and situational factors to improve your future outcomes. We welcome you to spend a day with us on MIT Sloan’s campus to learn about all the opportunities available to former and current members of U.S. armed services at MIT Sloan. You can expect to hear from fellow U.S. veterans, sit in on multiple panel discussions and visit a class. A more detailed schedule of events will be provided to you via the email address you provide closer to the date. Please note that this event is for prospective U.S. veteran candidates who plan to apply in 2018 and beyond. We look forward to seeing you on campus in October! Join Allison Anthony and Chelsea Donahue, Directors of Admissions & Student Recruitment, for an interactive discussion of our admissions process. Allison and Chelsea will share insider tips and hints on making your Executive MBA application stand out. This is a great way to have your questions answered directly by an Admissions representative and to begin to visualize what your experience at UNC Kenan-Flagler would entail. Maryland Smith Presents "Women at Work: We're Here but Not Heard"
The Smith School is excited to host a Women’s Leadership Event on Wednesday, April 10th at the Washington, DC Campus for prospective Full Time and Part Time MBA candidates. Please invite your friends and colleagues who you believe would be a great fit for the Smith community and whose careers would benefit from an MBA. Dr. Margret Bjarnadottir will be discussing the gender pay gap. Assistant Director, Part Time MBA Career Coach Julie Neill will facilitate a career discussion and Dr. Nicole Coomber will be moderating a panel of current students and alumnae discussing career impact, work/life balance, etc. No matter your major or career goals, Forté wants you to have a solid business toolkit to navigate the professional world. Join us at our College to Business Leadership Conference in Boston to find out why employers think your background makes you uniquely positioned to rock the business world. Liberal Arts and STEM majors – don’t miss this unique chance to explore your options and jump-start a fabulous career. This is a great opportunity for first years, sophomores, and juniors looking to explore career opportunities in business, network with business leaders, and grow their resume. Emory Executive Education’s Finance & Accounting for Non-Financial Managers course is a 2-day program taking place at Emory University’s Goizueta Business School. A strong financial understanding of your business is critical to your success, regardless of your industry. This course will strengthen your practical understanding of the financial market, and you will gain intellectual insights into finance and accounting management. You will learn how to address business challenges through applied financial principles. At MIT Sloan, we not only welcome diverse perspectives, but see them as a critical ingredient in our uniquely collaborative and creative environment. When people from different backgrounds come together to develop and test an idea, invention happens. Join MIT Sloan students from the Black Business Student Association (BBSA), Hispanic Business Club (HBC), and Africa Business Club (ABC), staff, and faculty to learn how our mission-driven School inspires cutting-edge thinking and prepares the next generation of principled leaders. 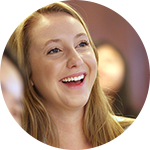 Engage with current students as they share their stories and experiences with the MIT and MIT Sloan networks. Participants will sit in on a class, attend admissions and career information sessions, and have several opportunities to connect with current students. When you have a job you love, life is more rewarding. Whether you’re looking to brush up on your business skills to climb the corporate ladder, make a career transition, or you’re coming back to work after a break, Forté is here to support and help you rise higher on your career journey. 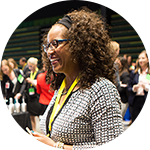 This free virtual event exclusively for professional women brings you all the benefits of a career fair, designed for your busy life. Why Attend the Virtual Career Fair? Insider tips from the Admissions Directors at Michigan Ross, Tuck, and Berkeley Haas. Top MBA gatekeepers give their tips on applying to business school and finding the right school for you. Part 2: Is the MBA worth it? Why consulting, tech, and finance are hungry for MBAs. Execs at top companies get real about why the MBA is more important than ever and give advice on how to position yourself for success. Changing the way you think about an MBA. MBA grad impact-makers and Michigan Ross Dean, Scott DeRue, break down how the business world and education are changing….for the better. Join a panel of Yale School of Management students to learn about our unique community and ongoing commitment to diversity and inclusion. Panelists from a variety of affinity clubs and the Equity & Inclusion council will share their experiences and answer questions on topics including the student experience, impact of student clubs, as well as Community and Inclusion initiatives and programs. The highly ranked W. P. Carey Executive MBA is designed for senior leaders with more than a decade of experience. This program will expand your leadership skills, your network, and help you develop a strategic perspective that will allow you to immediately impact your organization. Join us for breakfast and experience for yourself the caliber of our program by attending a live class session focused on the “Art of Decisions.” After class we’ll provide a general program overview which will include application tips, curriculum, and upcoming deadlines. Women who lead teams or departments in which work is accomplished by guiding and supporting others will benefit from the Duke Management Program. The Duke Management Program (DMP) translates the science of management into practical insights and actionable strategies. By using a mix of cases, exercises, principles, and application, you’ll learn how to identify obstacles to employee and team success and harness their potential. Venture Capital is a driving force behind entrepreneurship and innovation. It fuels the economy, creates growth opportunities for companies large and small and, it funds the business development strategies of major corporations. But while Venture Capital is an integral part of the global economy – the unique inner workings of venture capital firms and their processes are a well-guarded secret. The Venture Capital Executive Program is essential for experienced investors, corporate executives and serious entrepreneurs that not only want an exclusive window into this ever-changing industry but also want to gain insider tips on how to succeed with Venture Capital firms. No other program gives you the access, the interaction and the 1:1 networking opportunities with key industry leaders and innovators than the Venture Capital Executive Program at the UC Berkeley Executive Education. And where better than to get an exclusive window into the dynamics of the most successful venture capital firms than the world’s premier innovative cluster: Silicon Valley? Guided by Berkeley Haas faculty member and former entrepreneur and venture capitalist Jerry Engel, the Venture Capital Executive Program provides a comprehensive overview of the venture capital investing cycle from – opportunity assessment, valuation, deal structuring and corporate governance to – harvesting investments. Venture Capital accessibility and availability are keys to economic growth. The Venture Capital Executive Program gives you unprecedented access to learn from the inside out. High-Performance Leadership is a 5-day Executive Education program taught by Chicago Booth faculty. In this program, you’ll learn to create a plan to eradicate the barriers to high-performance in a business unit. This course will teach you to identify, replicate, and nurture high-performance behaviors and work groups throughout the organization, and develop a structured approach to preparing for and thinking about negotiations and everyday influence situations. Over 25,000 college students will take the Graduate Management Admission Test (GMAT®) exam this year. Are you one of them? Women who take the GMAT in college often score higher than in any other time of their lives. Your GMAT score is good for five years, giving you options to get your MBA right after college or later on your career journey. Taking the test while you are in college gives you more control over your schedule and more time to study. Join us, the makers of the GMAT exam, for a live webinar to help you understand the exam basics, how it works, most common myths, and how to get ready for test day. We’re also giving away a $50 Amazon gift card so come learn about the exam and you could walk away with some serious cash. This webinar is exclusively for Forté Rising Stars—learn more.